Ignorance could be deadly. What you don’t know, you don’t know. Some months ago, I was working at a proposed new river bridge crossing, evaluating soil samples as they were retrieved from several boreholes being drilled by a hired drilling crew, right through the existing bridge into the depths far below the river bed. The master-driller, let’s call him Billy Joe, went about his work with the smooth assurance of a seasoned operator. Whenever he ran into challenges, like a stalled drilling rig he rectified the problem with a dexterity that suggested great experience. “You must have been drilling for ages,” I told him. “All of ten months,” he replied. “I was into farming. I worked many years in a farm as a farm-hand,” he said as a matter of fact, with a shrug. I thought I was praising him. I did not know I was only betraying my ignorance. Billy Joe laughed smugly. “Have you ever been to a farm in this country?” he asked pointedly. “No, I have not. What has that got to do with drilling?” I asked naively. “I can fix pumps, compressors, generators, water sprinklers and many other types of farm equipment. I machined parts with a lathe machine. I can build a house, make furniture, grade a road as well as till the soil. So, this rig is nothing to me,” he said confidently. I was stunned with what I was hearing. It all started to make sense to me. I nodded in firm agreement, embarrassed at my own ignorance. “I can milk a cow, I can set traps and I can shoot. In the farm I always carried a rifle in my truck and a pistol in my pants without fail. They were part of my dressing. You never know what you will come across, bears, coyotes name it. I have seen them all,” he said. “I want to return to farming as an owner or at the very least as a Farm Manager for an established farm. I am done with being a farm hand. I am saving money to buy my own farm even if it is just a few hundred acres. When I am ready I shall take out a bank loan and buy one,” he concluded. Ignorance is dangerous, I thought to myself. I have never forgotten that conversation to this day. The ignorant way I used to think about modern farming and farmers, is perhaps the way many Nigerians including the political and military leaders at the top think about the army and soldiers. To many Nigerians including the Army’s top-level commanders, the Army is all about carrying guns, walking with a swagger, intimidating the citizenry, throwing their weight around, launching with fun-fare Operation Python Dance Phase I, II, III, IV and Operation Crocodile Tears Phase V, VI, VII and VIII. Military prowess in Nigeria is measured by being able to shoot at unarmed demonstrating Shiite civilians or peacefully agitating Independent Peoples of Biafra (IPOB) activists. Meanwhile a single manual of the United States Army titled, ‘The Ultimate Guide to the US Army Survival Skills, Tactics and Techniques,’ issued by the United States Department of the army has almost 1000 pages. Can an army that tortures and kills its own civilians find the time or discipline to read such a manual and master the skills therein? The ease with which ‘next level’ Boko Haram terrorists overran the Nigerian Army camp at Metele in the North East last weekend while inflicting very heavy casualties, some reports speak of up to 100 dead soldiers, should alert Nigerians to the fact that our Army which is quite over-zealous in intimidating the general citizenry, is ill-prepared to defend the nation. I have always maintained that an Army that turns its guns on the very same citizens it is constitutionally bound to protect is not a professional army but a bush army. From all indications the next level onslaught of Boko Haram terrorists on our Army has shattered the very little morale they possess, perhaps irreparably. I mourn the loss of our dead soldiers who were put in harms’ way with obsolete weapons and without adequate training. I commiserate with the grieving families they left behind. I am saddened that our Army has not yet been able to recover all the corpses of the dead soldiers. Curiously, about the same time they were giving up their lives in service to this nation, their service chiefs and topmost commanders were assembled at a purely political gathering in Abuja. They joined the political train in solidarity with their Commander – In – Chief President Muhammadu Buhari as he launched his campaign for re-election under the slogan ‘Next Level’. 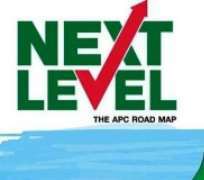 Since the launch of President Buhari’s electoral campaign with what many people claim is a plagiarized logo, Nigerians have been wondering what ‘Next Level’ really means. The ink has barely dried up on the allegedly plagiarized logo, but the Boko Haram terrorists may have already provided the answer Nigerians are seeking. Disclaimer: "The views/contents expressed in this article are the sole responsibility of Dr Anthony Chuka Konwea, PE and do not necessarily reflect those of The Nigerian Voice. The Nigerian Voice will not be responsible or liable for any inaccurate or incorrect statements contained in this article."